Make no mistake: Facebook Pages work. They were designed with business in mind. But. Making Facebook work takes work. I know, I know. A lot of people don’t think Facebook is worth all that work. Betty White, infamously, was their spokesperson. Even after a Facebook campaign won her a host gig on the stage of Saturday Night Live, she proudly pronounced it, “a huge waste of time.” But then again… she did cash the check. So, being a devil’s advocate here, perhaps Facebook is not a waste of time, huge or otherwise. It certainly drives traffic to our web site, and our client’s Facebook Pages drive traffic to their sites. That said, there are a few things that you have to keep in mind to make your Pages a success. 1. Remember Facebook is not a web page. 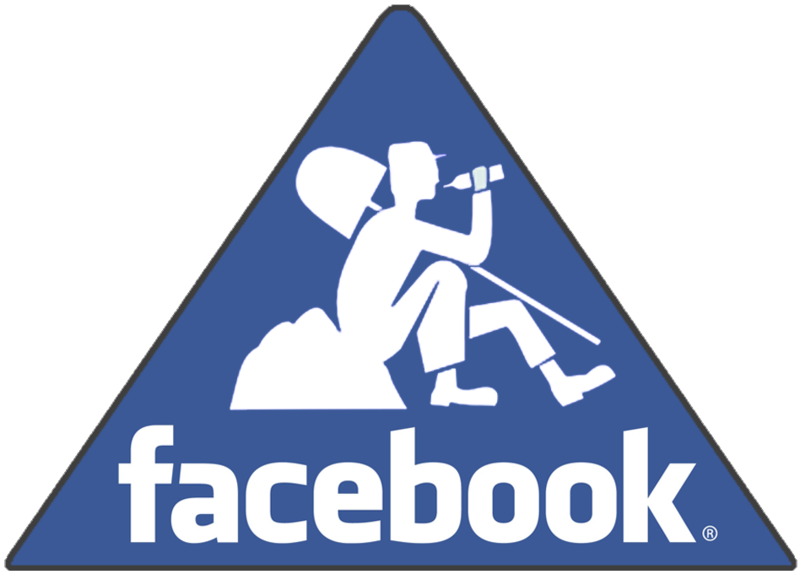 People don’t seek out your Facebook home page to view your posts. With the exception of their very first visit, your posts go to them. In fact, once a viewer “likes” or “shares” one of your posts, all of your posts can appear in their own Facebook newsfeeds. That is why you give them nice things to look at, and you make sure all the information you post interests them… and when they see your posts on their feeds, they can like and share them as well. 2. Don’t shout. Think conversation. Facebook is a place where you can engage with your favorite clients and their friends and family to have fun and relax when they have time. When your audience “likes” or “shares” your posts, that increases your page authority and expands your voice to their Facebook friends, creates buzz and builds your reputation as desirable. However, If you don’t offer posts that interest them, they will hide you, ignore you or (horror of horrors) un-follow you. Rule of thumb: Don’t think of Facebook Pages as one-way advertising. When you think of Facebook posts as engagement, and not advertising, you will be less prone to make some all-too-common mistakes. 3. No flooding. One huge mistake to scrupulously avoid is “over posting.” A sudden flood of posts, especially covering the same subject, critically if the message is “buy, buy buy,” can lead to a stampede of followers saying “Bye, bye bye.” If you were to Google “over posting,” you would find pages and pages of this: If, instead, you concentrate on making your posts entertaining, fun, mouth-watering, awwwww-inspiring (kids, pets), or empowering, you can post as many as you want. 4. Pictures! While we’re on the subject of “entertaining, fun, etc,” pictures are king. Words are “meh.” As a writer, it pains me to say this, but people, in general, do not read. Of course, finding time to take the right pictures to make your point is often impossible. Some companies have teams to handle social media, however if you’re just getting started or ramping up, you probably don’t. So get creative. Repost information from others in your product category or related categories (especially outside of your service area, or better yet, outside the country). The same challenges and opportunities that you and your customers face exist everywhere, and your clientele could benefit from seeing how others handle them. 5. Words! Avoid posts with too many of them, because they will never be read. Remember your posts don’t appear on a web page; they appear in a little box along with all the other posts that come in to your clients’ newsfeeds during the day. The Facebook audience sees the picture, and if they’re interested they’ll read the copy in the box (140 characters is a good rule of thumb – see next point), and then and only then, if they are so struck by the picture and the “caption” (for want of a better word), they might click on the “more” button to see what other information is there. This is why, on most business posts you see, there is a link to a web site (a link that fits within the magical 140 characters). 6. Frequency. Frequent Facebook frequently, but not redundantly. Daily is good, even though it takes up valuable business time. And you can repost on the same subject, but don’t repeat yourself. For instance to promote an event: “Save The Date” can be followed up by “Enrollment Deadline is…” That could lead up to “Join Over 200 Of Your Closest Friends, “”Headline Speakers are:,” “Cocktail Hour starts at 7:00,” and “Tonight’s The Night.” They all say the same thing, but they don’t. Always new. Always different. Always works best. 7. Twitter. Twitter is the next logical step in the social media journey, and conjoined with Facebook at the hip. The difference between Facebook and Twitter is…. well…fading. It used to be pictures, but now Twitter has pictures, and it used to be the hashtag, but now Facebook uses the hashtag, so it’s really just consumer preference. Like the difference between Chevy, Buick and Caddy. Even if it’s the same body frame, some mysterious brand loyalty keeps ‘em going back for more of the same. Don’t bother asking why, just go after them all at the same time. You can set up Facebook and Twitter, so that every post simultaneously shows up on Twitter… you just have to keep the copy to under 140 characters total (including url’s). So, no room for too much copy. And since that’s also a good rule of thumb for Facebook, get into the habit now, and you’ll be prepared when you’re ready to pull the Twitter trigger. No one can cover all the aspects of Facebook Pages considerations in a single setting, but these are seven sermons I preach to all my clients who are getting started with Facebook. Hope it helps you.